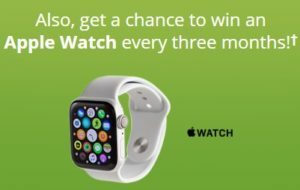 Sign up for the Dulcolax newsletter for your chance to win an Apple Watch Series 4 (ARV $519) every 3 months! Win a Maybelline New York Fit Me Prize Pack! Win 5 Years of Garnier Nutrisse Hair Products!